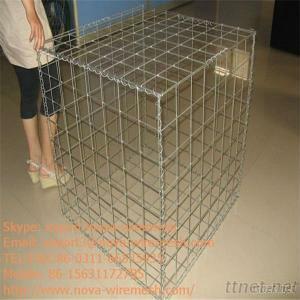 Welded gabions/Gabion stone fence is box made of welded wire mesh. shall be supplied in various lengths, widths and heights. In order to strengthen the baskets, all the edges of the structure shall be selvedged with wire of greater diameter. Gabion Size (can be design as the clients' requirement.